With a city nicknamed Caput Mundi—Capital of the World—it’s only natural that Romans are accustomed to seeing their home as unrivaled in matters of history, culture, and food. And while it’s true that traditional local cuisine holds a sacred place at the table, the Rome is hardly impervious to change. The city’s classics, from carbonara to cacio e pepe, are still universally beloved, but Rome’s dining and drinking culture, like that of all cities, is in a constant state of evolution (albeit at a glacial pace compared to New York, Paris or London). Recently, tightening purse strings, transitioning food systems, and changing palates have conspired to create exciting new ways of dining, drinking, and shopping for food. The innovative features of Rome’s flourishing food and drinks scene are at their best when they use tradition as a foundation: neo-trattorias like Santo Palato serve honest classics with a few clever twists, while the booming independent enoteca scene, embodied by wine bars like Il Sorì, La Mescita, and Mostò embrace natural and traditional wines. Craft beer pubs like Ma Che Siete Venuti a Fa’ and Artisan, run by enthusiastic experts, promote small producers over conventional choices and a revived interest in food provenance has given rise to a growing number of farmers’ markets, which contrary to popular belief are relative newcomers to the city’s gastronomic landscape. Visitors to the Italian capital will be endlessly satisfied, whether they are after traditional foods or fresh flavors–but only if they know exactly where to look! So, where should you eat, drink, and shop for food in Rome? SO MANY AWESOME PLACES. I have so many resources dispersed over so many platforms, I can hardly keep track of it all. Here they are all in one place so you’ll have all my personally and independently* vetted recommendations for dining and drinking in Rome. If you are after traditional cucina romana at moderate prices, Armando al Pantheon and Cesare al Casaletto are your best bets. And for super honest, affordable, delicious Roman/Umbrian/Sardinian specialties, plus pizza, serve with a smile, Tavernaccia Da Bruno is it. Roscioli, Santo Palato, Mazzo may not serve explicitly traditional classics, instead blending modern techniques with local flavors, but all three are excellent. I have a handy guide for getting the most out of your visit to Roscioli, a must-read before this must-visit. For Neapolitan style pizza, check out Tonda, Sforno, Sbanco, and La Gatta Mangiona, while Da Remo and Pizzeria Ostiense serve excellent thin crust Roman pies. 180g Pizzeria Romana does thin-crust Roman style with a gourmet flare. Don’t miss pizza by the slice at Pizzarium and Panificio Bonci (or Bonci’s new spots in Mercato Centrale and the Flaminio district). I also like Prelibato for a slice. The pizza bianca at Antico Forno Roscioli and pizza rossa at Forno Campo de’ Fiori are delicious, as are the various flavored slices at the latter (Forno Roscioli’s pizzas are heavy IMO). 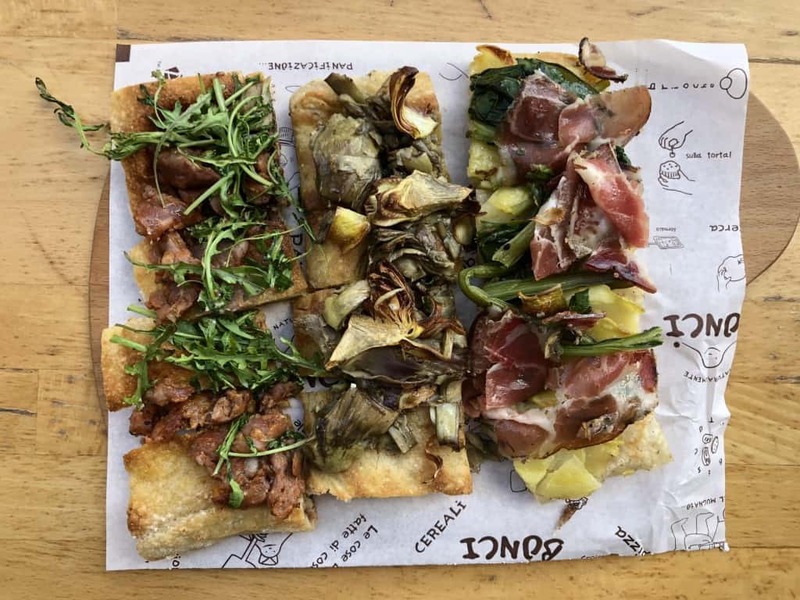 For tasty little pizzette, visit Da Artenio in the Mercato di Testaccio. And for a round-up of these and other favorite places for pizza in Rome, take a peek at this article I wrote for the defunct Lucky Peach Magazine. You may wish to give fine dining a pass. So much of it is so disappointing, derivative, and precious. But if you must, I highly recommend Metamorfosi in Parioli, which is the only Michelin-starred spot in Rome that I really have fun at. Il Sanlorenzo, an upscale fish restaurant in central Rome, may not have a star, but you’ll find formal service, an elegant atmosphere, and the finest fish dishes in town. (Not everyone reports the same service experience–see comments below). For more fresh fish at prices that reflect their high quality (fresh fish in Italy is very expensive), I love raw dishes, fried starters, and seafood pasta at Tempio di Iside. For kosher meals, try C’e’ Pasta…e Pasta, which serves Roman Jewish classics cafeteria-style. In the Ghetto, Boccione Forno del Ghetto does amazing fruitcake called pizza ebraica, as well as spectacular almond paste and ricotta cakes. Nearby, Nonna Betta serves kosher-style food in a restaurant setting. Stick to the the pezzetti fritti, concia (fried and marinated zucchini) carciofi alla giudia (in season in the winter), and spaghetti con bottarga e cicoria. 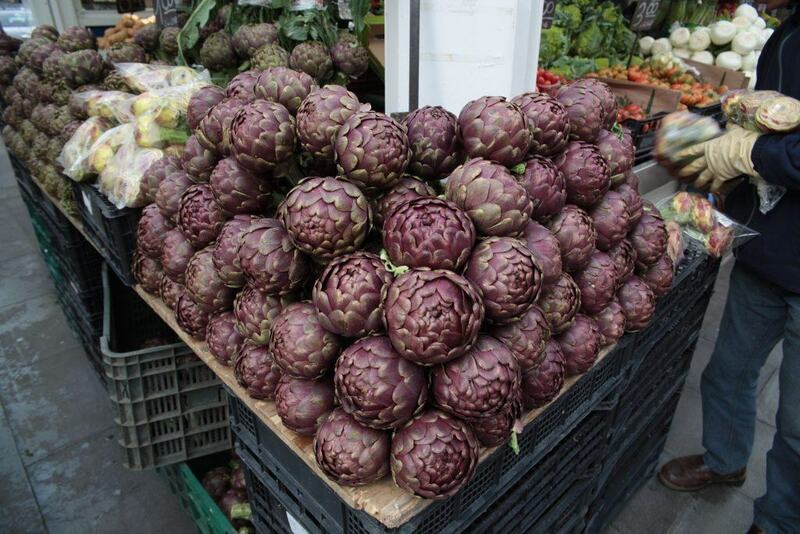 Go to Testaccio or San Giovanni for brisket or artichoke or kidney sandwiches at Mordi e Vai. The trapizzini at the growing number of Trapizzino shops are a must (especially the chicken cacciatore)! I’m a fan of the Trastevere location in Piazza Trilussa, which is currently the only branch with table service and a full-on wine list. The suppli’, potato croquettes, and fried pastry cream at Supplizio are super tasty. For gelato, my favorites are Al Settimo Gelo, and Gelateria dei Gracchi, Il Gelato di Claudio Torce’, Otaleg, and Fior di Luna. 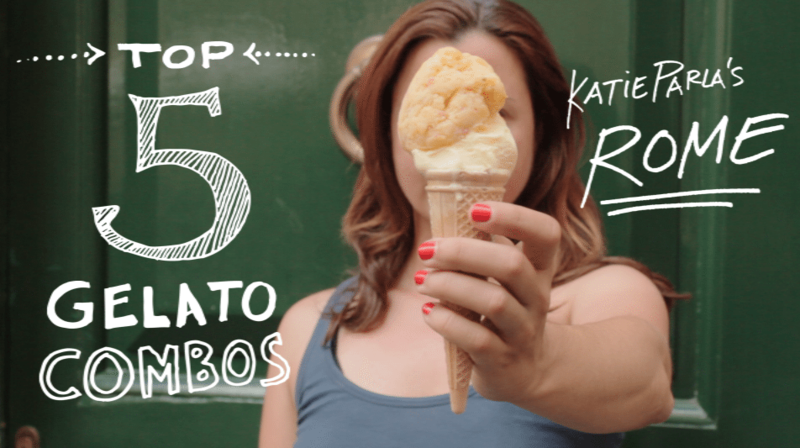 My recently updated Guide to the Best Gelato in Rome has more. 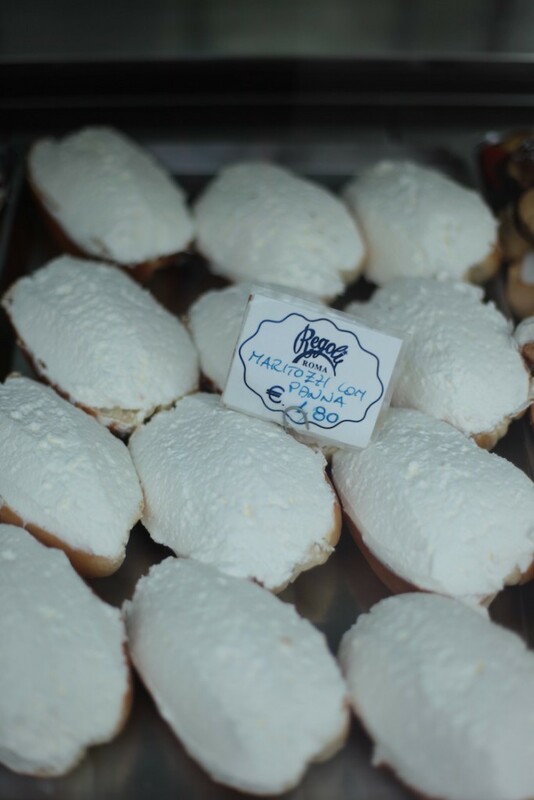 Century-old Regoli and two-year-old Roscioli Caffè offer excellent traditional Roman pastries, while Andrea De Bellis serves delicious contemporary sweets. There’s coffee everywhere, but some places truly are a cut above. My favorite historic shop is Sciascia, established in 1919. Two new-ish place celebrating Italian-style coffees with third wave techniques are Roscioli Caffè and Pergamino, Faro, and Marjani Coffee. Thristy? My favorite wine bars are the aforementioned Il Sorì, La Mescita, and Mostò, as well as my local Litro, recently refurbished Bulzoni, and long-established Il Goccetto. I often stop in at La Barrique, Remigio, and Barnaba for a glass. For beer, I love Ma Che Siete Venuti a Fà, Open Baladin, Birra +, Stavio, Brasserie 4:20, and Be.Re., Artisan, and Luppolo Station. I also drop in at the Jungle Juice Brewing in Mandrione whenever I can; their bar is evenings from Thursday to Sunday. You can buy wine to take away at the wine bars listed above, as well as at Les Vignerons in Trastevere. For spirits, check out Costantini, Whisky & Co., and the Jerry Thomas Emporium. If you love cheeses and cured meats, visit DOL, Secondo Tradizione, Roscioli, and Beppe e I Suoi Formaggi (skip the cured meats there and stick to the cheeses). All of those places also sell food to takeaway, except for Secondo Tradizione…but it’s cool because nearby their sister shop La Tradizione nearby has the most amazing products. Need a break from Roman fare? 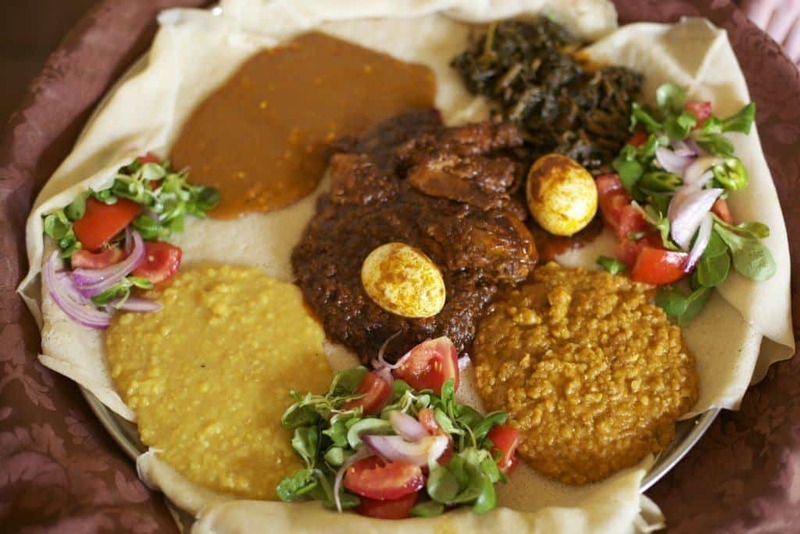 Check out Mesob in Pigneto for Ethiopian, Doozo in Monti for seasonal Japanese dishes, Janta Fast Food for Indian, and Kiko for sushi. Asian Inn in Viale Marconi does ace Chinese regional cuisine and has a very good wine list. Nearby, Dumpling Bar serves…dumplings. 7 Lanka does cheap and tasty Sri Lankan dishes, while Neighborhood Restaurant serves excellent Filipino & Kapampangan cuisines. In the regional Italian category, Trattoria Monti is wonderful for specialties from Le Marche. Tram Tram is great for fish and vegetable classics from Puglia. I have been collaborating with my super talented friend Kat Tan Conte to create YouTube videos documenting neighborhoods and Roman food themes. You can find the videos over on my You Tube channel. 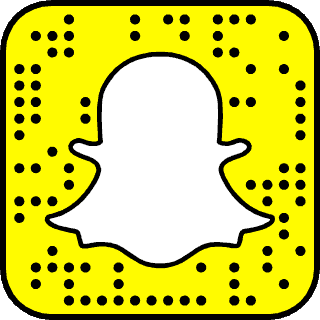 In addition to all those free resources on where to eat in Rome, I also have a few guides on various paid platforms. For portable versions of my top picks for dining, drinking and shopping for food, check out my ebook “Eating & Drinking in Rome” (available in Kindle and PDF format). And finally for Rome’s top cultural attractions, check out my guidebook National Geographic’s Walking Rome. *I do not accept comps, discounts, freebies, press invites or any other such form of exchange. I cannot stress enough how rare this is in this town. This is so going to my top list! I am going to Rome this summer, and this is what I have been looking! I’d love to be able to use this guide sometime! And the gelato guide! Thanks for sharing. Great app we used in the June 2014 for Rome Eats. Do you have to be a member to go to The Jerry Thomas Project? OTALEG! Why you have never mentioned? It’s absolutely the best for ice cream! Nice list but I have a couple of quibbles. Armando al Pantheon was fabulous and lots of fun. Flavio al Velavevodeto was a disaster. Ordered three different pastas and we received the same pasta noodle for all three preparations. All were severely undercooked (and I know Roman standards) so much so that the noodles actually stood up. Not good. The real surprise, and I wish they would get more play, was the Taberna Recina. The best puntarelle salad with anchovies in Rome and a wonderful rigatoni with cauliflower. Very nice wine list and super friendly. We went one night when the restaurant was closed for a private winemaker dinner, Seghesio from Barolo I believe, but they welcomed us in and served us without reservations. We went back a couple of nights later and were equally satisfied. I never see them listed anywhere. Too bad, I think they could use the business. Any way, thanks. We use you for a reference whenever we are in Rome. @Dennis Armando does indeed rule. Im a huge fan. I have definitely reported on similar issues at Flavio in the past and will be striking them from this list after your comment about 8000 other complaints in the past few months–albiet none as grave as totally uncooked pasta. i haven’t been to recina in years. my go-to in san lorenzo is tram tram. have you been? it’s lovely! Hi Katie, Your website is amazing thank you so much I have made reservations at Cesare al Casaletto and Armando al Pantheon. I am planning on making a reservation at the Jerry Thomas project, and was just wondering if you could recommend a restaurant nearby for dinner first? Many Thanks! We had a bad experience at San Lorenzo. We live in Rome, not far from SL, and went there for my wife’s birthday. We both ordered the tasting menu and a nice bottle of wine. It began well, both the courses and the service, but it quickly deteriorated to the point where we were sitting with an empty table–nothing to eat or drink–for a long time, like 30+ minutes, trying to get the attention of any of the disinterested waitstaff standing around. When we finally could get someone’s attention we told them we were displeased with the service. We were treated very rudely and served the final courses (a couple of kind of ridiculous desserts–no possibility for a coffee or an amaro, nothing) and then ignored again. I can’t remember getting such an FU attitude from any restaurant, let alone the most expensive one we have gone to in all of Rome in two years. On the way out, we told the staff we were dissatisfied (and got the same attitude). We asked to speak to a manager just for principle and he appeared at last and said “hey, stay and have a limoncello”–with a kind of screw you tourists attitude. Bad service, uneven food quality, a totally foul attitude, and shameless management. And they charge you for bread on top of everything else. We speak Italian fluently, have lived all over the world, and have gone to high end restaurants from New York to Osaka. We only went once (and never again!) but it felt toxic, toxic, toxic. And we paid 300 euro. A**holes. Go anywhere else. Sorry, Katie, we like all of your other recommendations and go to them frequently. There is something seriously wrong with San Lorenzo. omg Anthony I am SO SORRY you had that experience. Thank you so much for sharing. It’s important to get this kind of feedback, which has been rolling in this holiday season as typically awesome and reliable places seem pissy and overextended. I don’t know what to say nor how to explain what happened to you. Needless to say, I will add a note above directing readers to your comment. I have never witnessed anything like that at Il Sanlorenzo, which is why I recommend it so highly but frankly/sadly, nothing surprises me anymore. Thanks, Katie. We appreciate it. We’re used to the usual lackadaisical service in Rome–and it goes hand in hand with the positive aspect of a relaxed attitude–but our experience at San Lorenzo was exceptional, maybe because even when they knew we were displeased, the staff just stood around and commented to each other, as if we didn’t understand what they were saying since we had spoken Italian to them the whole evening. Only really surprising because we had expected something much better and rather than making a simple apology for bad service the manager just underscored the condescension. I’m going to Rome soon, this is a great guide, i’ll be sure to try some of these! Thanks for sharing this informative post Katie. My sibling and her spouse are planning for a trip to Rome and Florence in the month of March and am gonna show this post to them as it will be useful for them to choose the right places. Hi Katie, I’m wondering if you might have a couple of suggestions for romantic restaurants for our five year anniversary on April 21? We like fish but would probably rather not go to a restaurant that focuses on it, like those suggested above in “fine dining”. I’ve been combing the internet but haven’t found anything I’m in love with. Our budget would be up to around €150. Thanks! Hey Julie, Antico Arco might be your best bet. The food is very solid, wine list is great, they understand bookings for special occasions and the place is elegant without being stuffy. Wow amazing. I wish I could try them all. If you had 2 days to spend in Rome, which places would you choose? I don’t want to pick from all the places you have listed cause I am scared I might fail at it. Really amazing place for eat and drink in Italy. Thanks for sharing such a helpful post. I am planning a trip to Italy, Liguria and other near by destinations and your post is very informative. Please share some more posts like this. Hi Katie, I am loving your site as we get ready for our first trip to Rome next month. I was wondering if it is acceptable in Rome to take children to more “fine dining” style places if we go around 19;30-20:00? Our eight year old has been to many higher end places in the US. She doesn’t need a kids menu, will eat just about anything. But I don’t want to upset any proprietors if this is not common practice in Italy. It’s totally fine. It’s maybe not the norm at many high-end places, but it’s not totally out of the ordinary and in Italy, restaurants typically go out of the way to make kids happy even in fine dining settings. Love your blog! I am traveling to Rome in August with my daughter who is a foodie, instagrammer, influencer in the US. The trip is a surprise so I can’t ask for her help picking restaurants. I have found many restaurants are closed for August. I wanted to take her to Roscioli but they don’t have reservation available for our group size – would you recommend the tasting dinner at Rimessa Roscioli? I love Roscioli but I do not recommend the tasting dinner at Rimessa Roscioli. Try Vino Roma! I’m now in Rome and was hoping to use the app, but it looks like it isn’t updated for iOS 11. Too bad! I really love the restaurants recommended. Yeah my developers abandoned the project so now im stuck with a broken app. not great. Hi Katie, We have made reservations at Roscioli for a Saturday night in March at 9:30 PM. We are two couples. What is the location we should request – main restaurant or the wine cellar? ground floor main dining room for sure. but as far as i know if you have a booking you already selected the area. My partner and I and our two children are going to be in Rome from the 3rd to the 13th of March and are staying in Monteverde. It’s our fourth time and having previously stayed in Trastevere, this time we wanted a more authentic, less touristy Roman neighbourhood as our base. hey mark! i live right near il cortile and it doesnt get great reviews for the food from friends who have been (I have not eaten there) but it has a good antipasto spread. my local is il vascello. one could argue that the food isn’t excellent, but it’s that classic neighborhood trattoria with the everybody knows your name vibe that we rome dwellers prioitize above food often. da remo is great. they can be a bit rude there but i love the place. agustarello is great. ditto for piatto romano. trapizzino is nice. taverna cestia and marigold (a bit past testaccio) are solid.